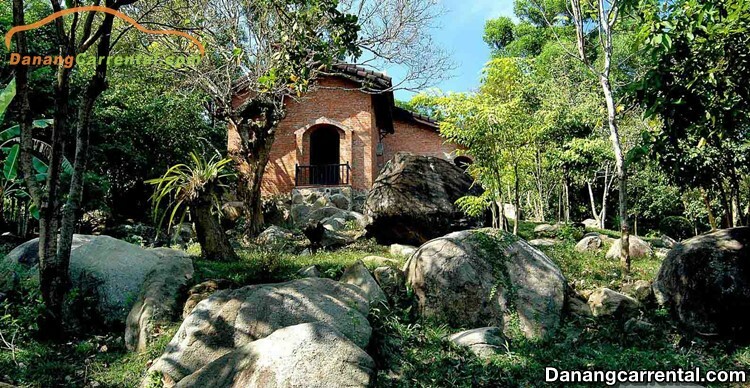 Dong Dinh museum is located on the sloping position of Hoang Sa street (Son Tra peninsula), is considered as a memorial garden and reconstructs the ancient features of harmony between forest ecological preservation and the cultural space of arts . This is a museum showing many collections by Do Huy Huy Giao – the owner’s project. It will be interesting to walk through the small ways around in the pattern of Quang’s midland garden with fruit trees and green lawn. The name of the museum is inspired by the image of Caryota mitis – one of the coconut tree families, growing at the Son Tra nature reserve. The museum’s collection consists of two ancient houses in the architectural style of the Kim Bong architect and a modern architectural house which uses forest ecological space to build on a gentle hill. Open time: Saturdays, Sundays and public holidays. From 8:00 a.m to 5:00 p.m. Ticket price: 20,000 VND / person. 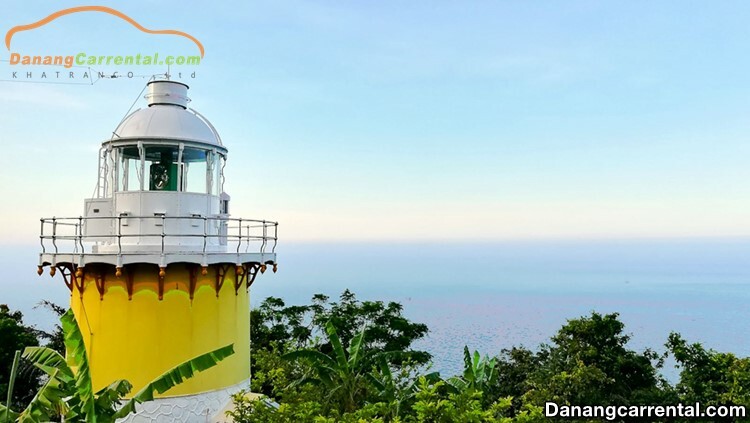 Not only Mui Nghe or on the top of Dinh Ban Co or Linh Ung pagoda, you can enjoy the beauty of the sea, but Tien Sa lighthouse (also known as Son Tra lighthouse) is also a place for those who love the seas. Located at the peak of Son Tra with a height of about 223 meters above sea level, here you will have the opportunity to run through the curling over road on the Son Tra peninsula and then zoom out your eyes to watch the vast sea. As one of the most beautiful lighthouses in Viet Nam. 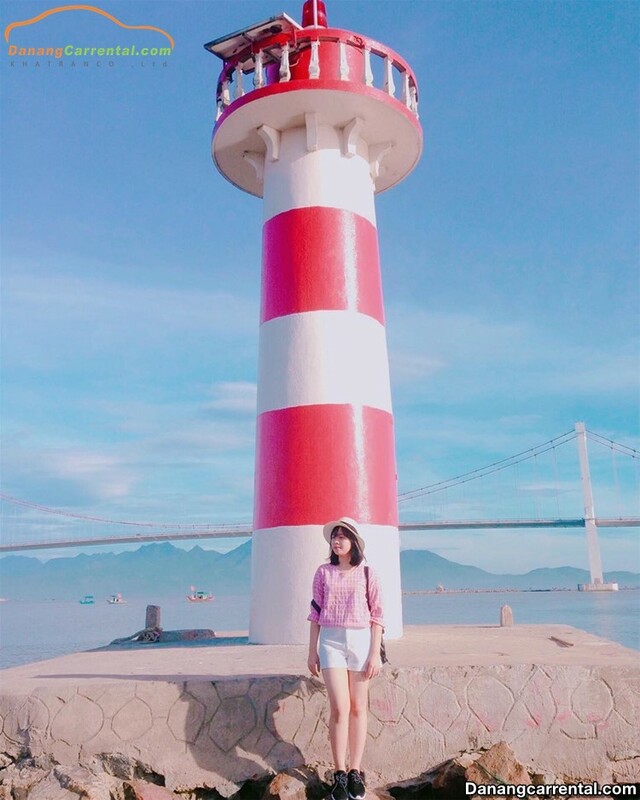 The lighthouse is built in the 50s of the twentieth century, Tien Sa lighthouse with a height of 15.6 meters is responsible for helping boats operating in Hue city – Da Nang city to define the directions and positions on the sea. Standing on the lighthouse you will have wide view from the mountains to the vast sea with beautiful scenery. 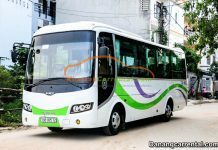 Directions: follow Hoang Sa street in the direction of InterContinental Da Nang resort, where there will be a signboard. If you turn right, it will be the road to Da Nang Thousand Year banyan tree and Tien Sa lighthouse. If you go more 2 kilometers, you will see an intersection, then turn left and go traight ahead. You will see one more intersection, then right turn and go straight to the end of theroad, you will see the lighthouse. This is a lighthouse located quite close to the center of the city. Although not as unique as the Tien Sa lighthouse, the Thuan Phuoc lighthouse has the appearance of reaching the large sea which is connected to the mainland with stone embankments in order to prevent waves. From here, you can see Thuan Phuoc bridge and three other unique bridges of Da Nang city: Han River bridge, Dragon bridge and Tran Thi Ly bridge. Not only that, Thuan Phuoc lighthouse is also a hot spot for watching the beautiful sunset in the afternoon. Travel directions: Located near Thuan Phuoc bridge on the Han river, so the road to the lighthouse is very easy. From Tran Hung Dao street, you run toward Thuan Phuoc bridge, then follow Le Van Duyet street, run about 1 kilometers to the Han river. The lighthouse is in front of your eyes. For those who “throw all that to go,” Dong Xanh lake – Dong Nghe (Hoa Khuong commune, Hoa Vang district) is attractive many visitors by beautiful and charming scenery, especially it is very perfect for a weekend picnic. With a water surface of 2.4 kilometers, the lake is covered by green grass around year. Overlooking from the high position, Dong Xanh lake – Dong Nghe as a water colors painting is extremely quiet. Try to experience the feeling of fresh air in nature by hiring boat trips to the lake or upstream to explore the flowing stream, or rent kayak is one of the great activities you should experience yourself here. 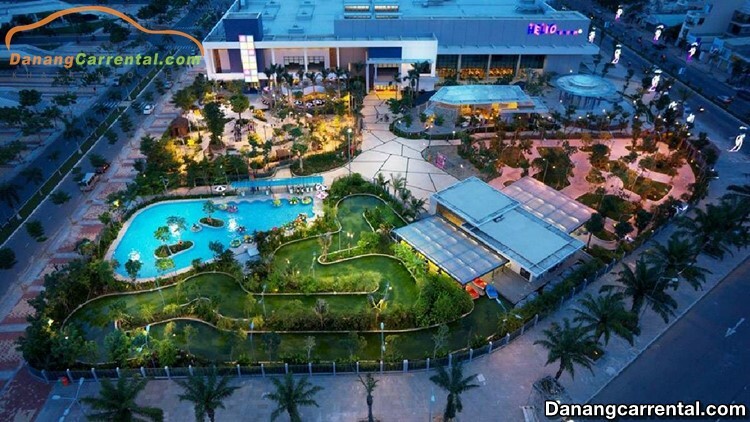 Helio Center is the first and largest family-based entertainment center in Da Nang. Covering more than 35,000 meters, there are not only entertainment for adults, but also indoor and outdoor recreation for children. The Helio Center includes three main areas: the Helio Kids (indoor, outdoor), Helio Play (games for thrills, action games, water games, game rooms) and Helio Food & Beverage (the food area of Helio) brings the happy time with your family and friends. Especially the heaven for children Helio Kids – a model that combines both education and entertainment in the game. When they come here, the children will experience a variety of exciting new models with hundreds of attractive games. Also at the Helio Center on the weekend, the fair sale and food fair always attract young people and visitors to explore and play here. 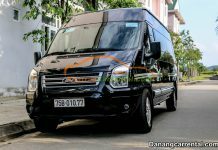 Address: Dong Nam Memorial park, 2/9 Street, Hoa Cuong Bac ward, Hai Chau district. Opening hours: 10 am – 10 pm (Monday to Friday), 8 am – 10:30 am (Saturday and Sunday). 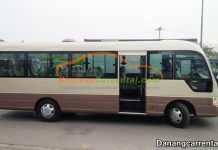 Direction: 25 kilometers on the west of Da Nang, you can go to Highway 14B, go to Hoa Khuong crossroad, then turn right and go straight from here to Dong Xanh lake – Dong Nghe. We hope that 5 “check-in” ideal locations for weekends will helpful to you to choose a relaxing place on weekend. 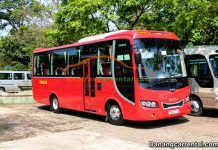 Wish you and your family a happy journey and many memorable experiences in Da Nang city.